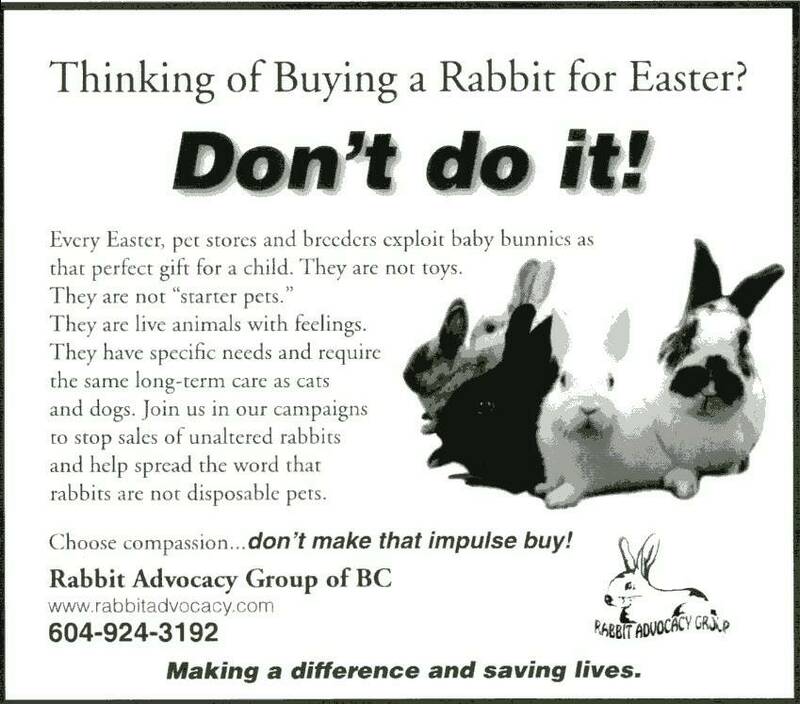 TALK1410 AM April 2, 2009 Carmina Gooch - President, Rabbit Advocacy Group of BC - "No Rabbits for Easter Gifts" This was another opportunity to spread the message not to buy rabbits as Easter gifts. Please support your local humane society or rescue group, where many unwanted rabbits are in need of new homes. We have also given talks to elementary school children on rabbit issues and our role as advocates not only for rabbits, but for all living beings.